Determination. That’s one word to sum up the EP coming from A Dark Line. The EP in question, Running from the Light covers the theme of if you want to achieve something you have to put 110 percent into it to get the best results. 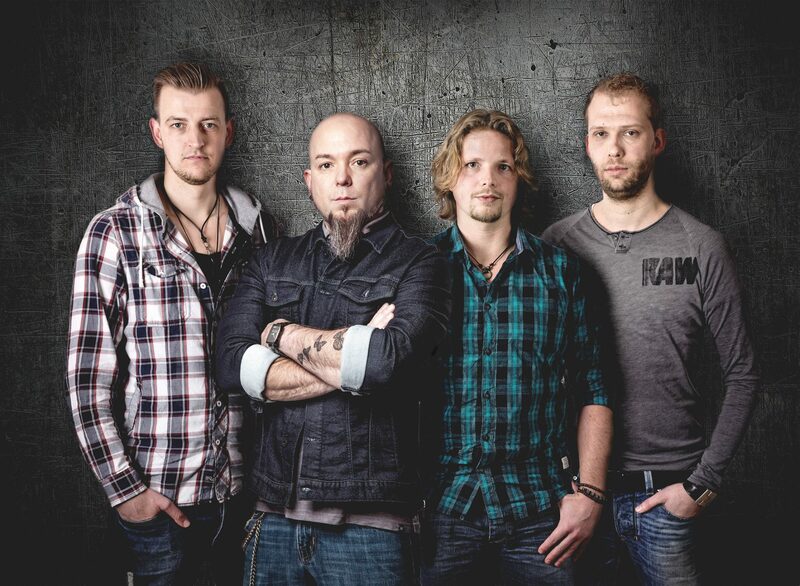 Before Hestla, Michiel and his bandmates worked on many song ideas and recorded several demos with other vocalists. In their tiring search they could not find someone with the passion and energy to bring to light the true nature of their songs. Once they sent in the songs to Brett Hestla, who is widely known for his work with Creed as their touring bassist in 2002 and his own projects such as Virgos Merlot, and the supergroup Dark New Day. Hestla agreed to sing on one track and from the EP being complete it’s obvious to tell that he liked playing with these guys and helped them by singing on the other songs on this EP. Leaving the songs up to the listener’s interpretation, I’ll share my thoughts on what each song means to me and leave the ball in your court at the end of this all for you to decide what they can mean to you. 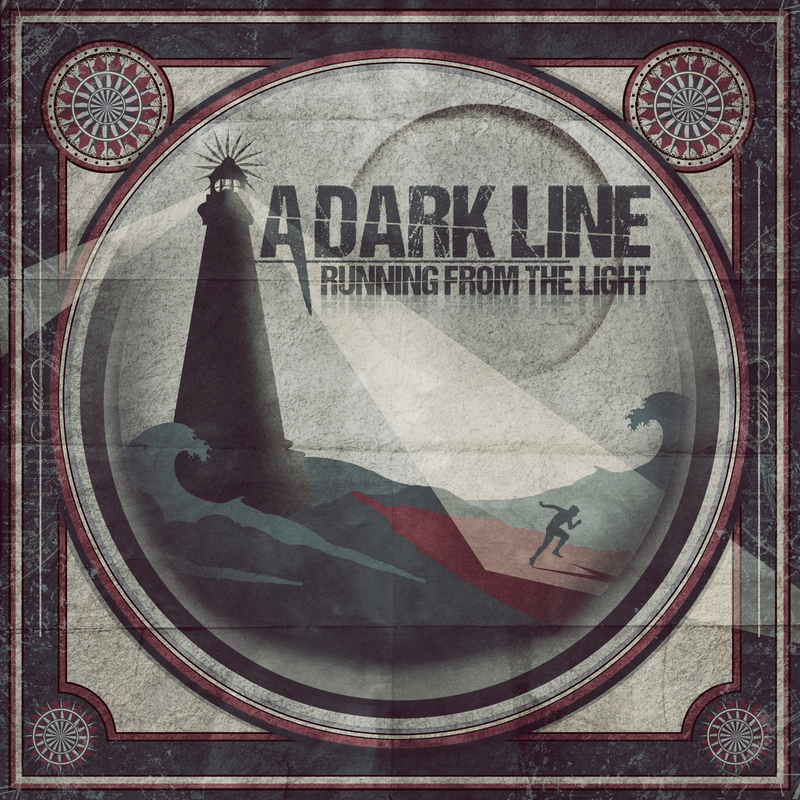 Draw The Line – The hard pounding introduction to Running from the Light. Strongest presentation of the bands heaviness and setting the pace for what ultimately is the ideal behind the EP. The song meaning to me is about putting in the work to accomplish a goal such as creating a song or overcoming a obstacle. Not playing the fool or denying yourself of a dream is another meaning I gathered from this song. Considering the star power and musical talent of the band, it’s easy to see how they set their mind to create music that will leave a lasting effect on themselves and their listeners. Fighting Inside – It has that clear touch of Hestla influence and beauty as it covers the topic of developing the will to survive life’s toughest problems. Those problems will vary from person to person but no matter what we must fight through it even if our thoughts and circumstances seem maddening. Realizing that we all fight a figurative war inside and finding the strength to overcome how we may view ourselves or others is the step to progress and can help us see a brighter day. The end result to this song is one of inspiration and motivation to keep going. The instrumentation is so strong and energetic you can’t help but feel pumped up and ready to take on the obstacles in life after the first time or many others listening. 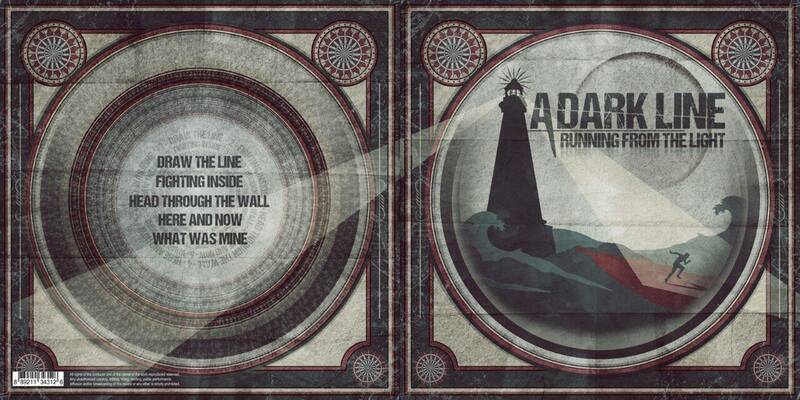 Head Through The Wall – The lead single to the EP and rightly so. An upfront confrontation of determination. This song conveys the idea of losing your fire for what you love to do, but if we continue to push through and do what we love that fire will come back ten times stronger and keep up lifted up. Barry’s drum work on this track is nothing but aggressive and structured to a T. His prowess behind the kit is to be match for sure and I’d love to see him do a solo live. Simon’s bass work is also very notable as it drives the song into the aggressive fist pumping mode you will likely find yourself in upon hearing the song. Here and Now – A sudden slow down to the otherwise energetic attack A Dark Line has given us thus far. Michiel’s guitar work is the shining light in this song as the acoustics perfectly fit Brett’s voice and theme of the song. Vivid lyrics paint the picture of flying free and not wasting a moment in life. Usually putting a ballad type song into the fray of a heavy album can be tricky. But A Dark Line has perfectly placed this in to set us up for the endgame track and putting into our minds and hearts the much needed encouragement to get off our butts and do the things we need too. What Was Mine – As stated before this is the endgame. Tackling the topic of another chance to get things right on the next attempt. In the midst of falling short of what we set out to do mistake will happen. The nature of this song is to always seek another try and move on with our lives rather than being stuck in neutral waiting for what will not come. End result is that we need to keep moving even if our original goals change. The band clearly works in unison as all the instruments are perfectly aligned to the songs topic and passion and energy. A great way to put an album experience to an ending scene of flying free towards our passions unhindered by the chains that often shackle us down. That’s what I got from the atmosphere, artwork, and lyrical content of the song. The instruments were a true testament to how a song is always founded on the right tone and timing. I’m happy to put this review on CC for all to enjoy and take some sort of inspiration from. I usually cover the struggles and obstacles of a band and the message in their music. A Dark Line however has proved to be an experience of straight forward hard work and determination to push aside the negative thoughts and views. With this kind of professionalism and songwriting, A Dark Line will stick around for a very long time and always provide good music for us to pump our fists to. Alternative, Brett, Contrast, Control, Dark, Feature, Hestla, James, Line, Metal, Nu, Review, Rock, West. Bookmark.